The previous week focused on crushes so this week’s topic, dating, was a natural extension. We did a lot of role playing and it went wonderfully. We were able to pull out parts of the role play to reinforce many of the different concepts. The last time I had done role playing was with middle school students- adults are just so much different to work with. They took the role plays very seriously and put a lot of effort in. One of the actors did turn out to have a comedic streak so the activity was fun as well as thoughtful. 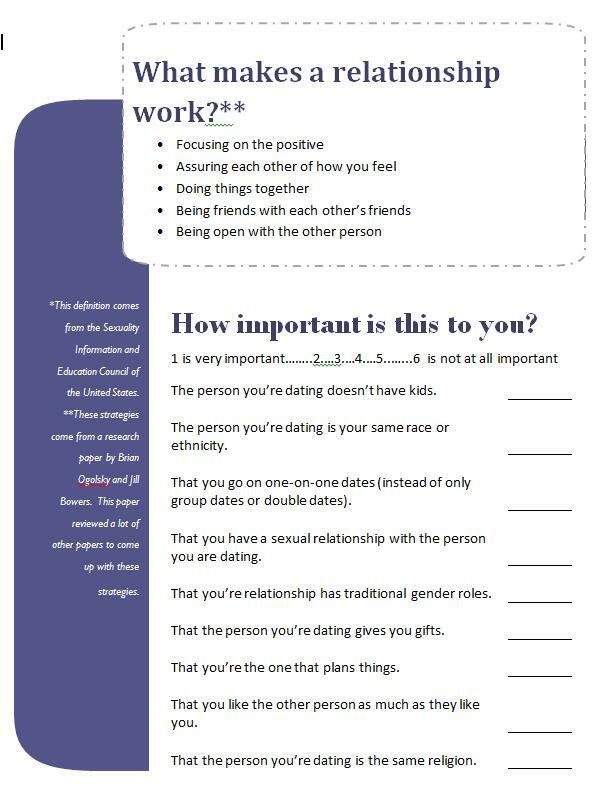 We also did an activity where we asked participants to think about the characteristics in a relationship that were most important to them. We had a couple red flags on the list (like one about physical mutuality) and they were all tuned into why that is important. This activity lead to a nice open discussion where we talked about other items on the list that were important to us. For the most part, people in the group are really centered on having similar interests and values. Free free to use the materials we’ve developed.